Discriminated and mocked, the young Somphet was on his journey to make changes to other disabled children’s lives. And, he did! No more cold nights, no more leaking roof, and no more studying in the dark. Thongxay now enjoys the new dormitory that offers both convenience and comfort. Many of her peers, both girls and boys, are now living in a well-structured dormitory in their lower secondary school. Bobay enjoys her participation and contribution as a radio program personality. Having assumed the role, she is able to disseminate child right information to her peers and her community members. 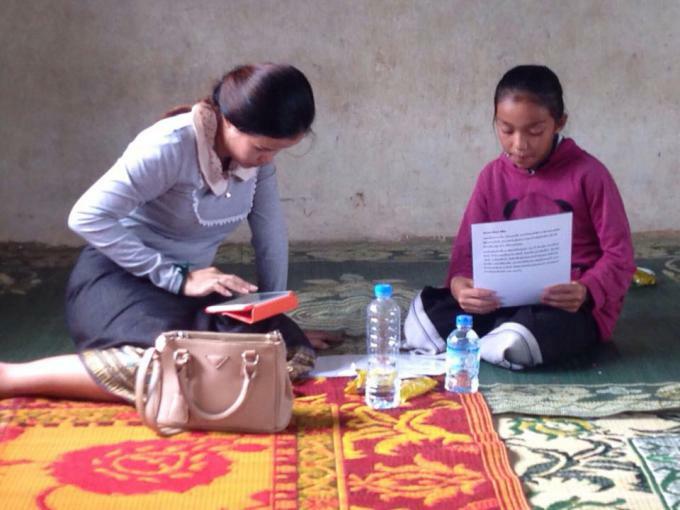 Thipphaivone has been working as an Education Program officer of Save the Children in Laos for 7 months. Her primary responsibility involves managing budget and assisting the Program Director and Program Resources Manager.